We had an entire package of coffee filters that we no longer use so we are putting them to good use. 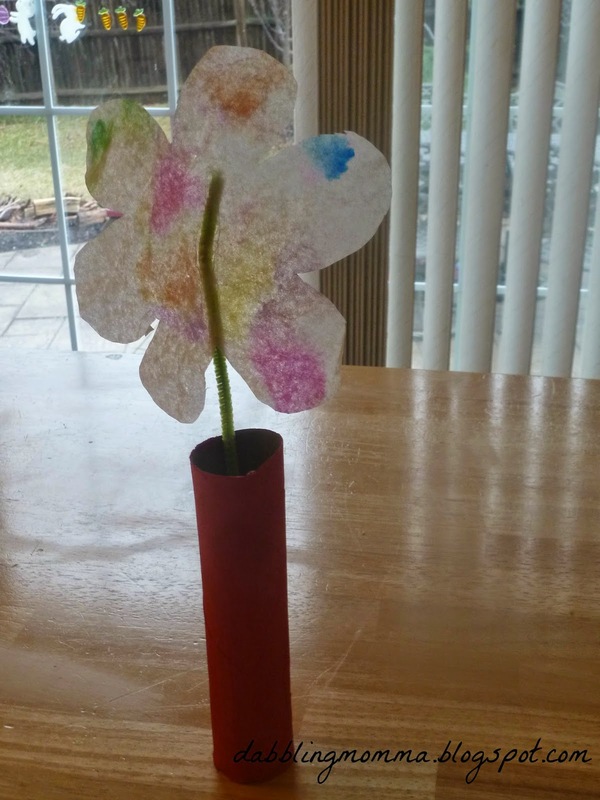 Here is a coffee filter turned flower! This is such an easy craft to do even with our wee little ones. Once you have your materials gathered just let your child scribble with the various color markers onto the coffee filter and then squirt away. After that just let your coffee filter dry (which happens pretty quickly) and cut out in the shape of a flower. I just realized I didn't get any photos of Tiffany during this craft. But we also made a butterfly using a coffee filter and I snapped more photos which I will share in an upcoming post. Tiffany's favorite part was by far squirting the water!! My daughter would love to do this! I'll put it on our "art day" list. Thanks for sharing.